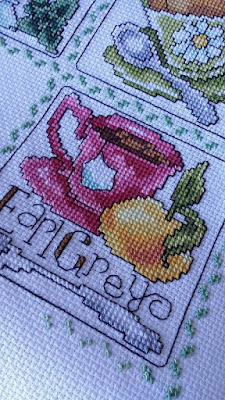 - Tangled Threads -: Christmas chart giveaway....and more tea! Christmas chart giveaway....and more tea! 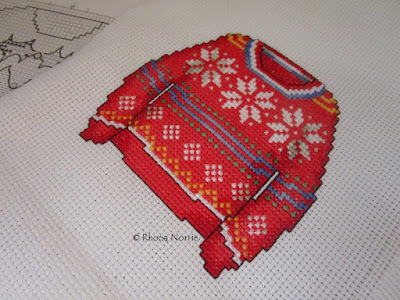 So, who still has some Christmas stitching still to do? 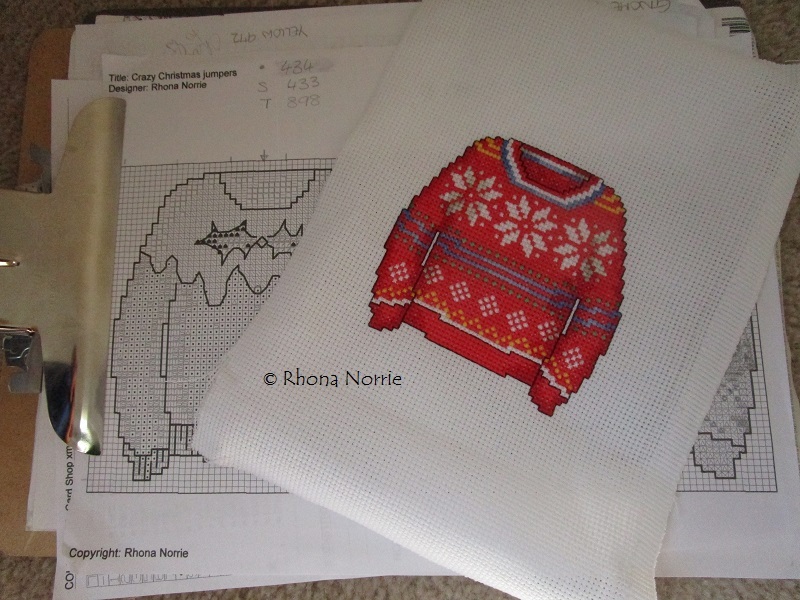 Here's your chance to win another one of my charts....this time it's for six 'ugly' Christmas jumpers! These designs are great for cards or for finishing as an ornament....or whatever else you want to do with it....the choice is yours! There are six ugly jumpers in the set - the one pictured above, snowmen, penguins, Xmas pudding, Santa hat and Rudolf . The pictures aren't great as my DD took my camera ....thank heavens for cell phone cameras! Remember to leave a comment if you'd like to be in the running to win the chart....and feel free to spread the word of the giveaway....it's always nice to meet new bloggers. coulI so love your tea cups Rhona. Sure wish I could find the kit or chart. I would love to be entered in your giveaway. Please enter me in your giveaway - they are great designs! Beautiful stitching! I'd love a chance to win. Thank you! 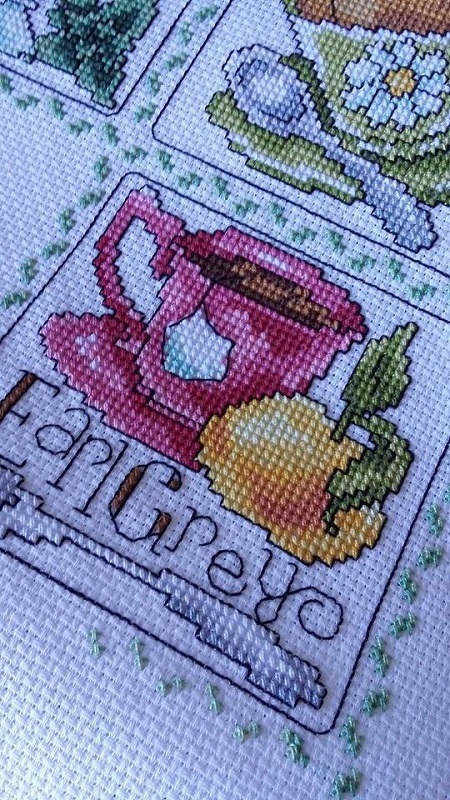 I love Earl Grey tea! 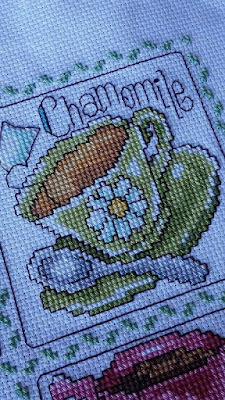 I think the Chamomile block is so pretty, maybe my favourite so far. Thank you for offering the Christmas jumper charts - I would love to enter this giveaway. 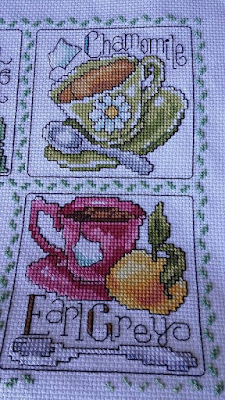 Great update on the tea sampler! I love those jumpers too but was extremely lucky to win your previous giveaway, so I will pass on this one. What fun! Sweaters and tea, perfect time of the year for it. Your stitch is very beautiful. I am stitching one of the gnomes I won last time so don't count me in in this one but the jumper looks lovely!AriadnefromGreece! I love your sweater charts! I would love to create something with them for my daughter's new apartment - she has no Christmas decorations yet. Please enter me! I love the one you have stitched. Love the ugly sweaters!! 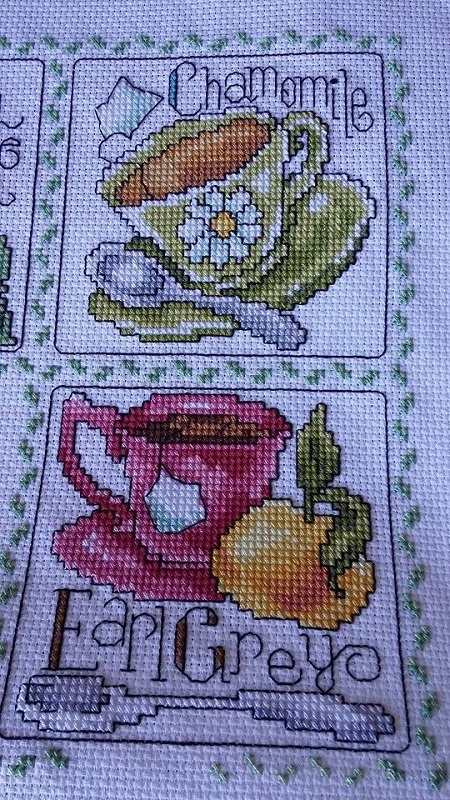 Your tea sampler is coming along nicely too.